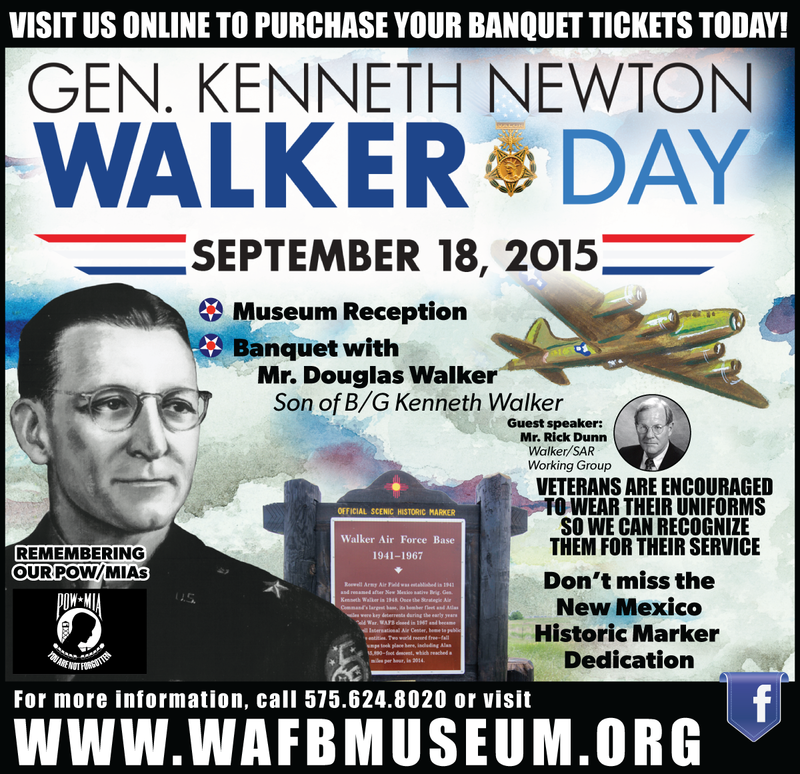 Meet the son of Gen. Kenneth Newton Walker, Doug Walker, at our banquet that is honoring the general – who was born in Los Cerrillos, New Mexico. Learn more about our Air Force Base namesake and what tragedy befell him. 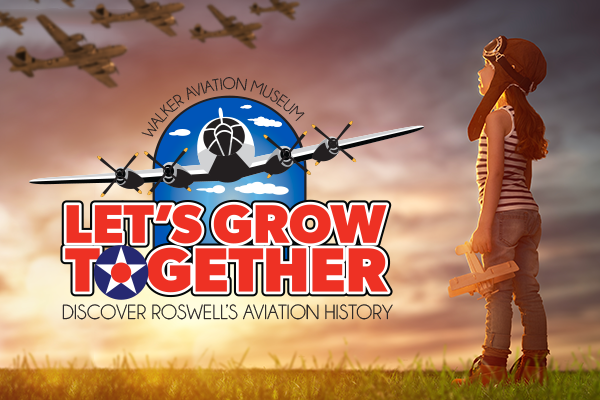 Join the New Mexico Department of Transportation, New Mexico Department of Cultural Affairs and Walker Aviation Museum as we dedicate a historic marker to Walker Air Force Base! Visit us online to buy your banquet tickets and learn more about this great event!